The Margaret River Region is so much more than the famous wineries it's home to, also playing host to many beautiful seaside towns and some of the most stunning beaches in the world. You’ll be left spoiled for choice from an array of clean, clear, family friendly beaches and tranquil seaside towns. There are so many beautiful beaches and towns. Here are just some of our most loved places for you to explore. With the jetty as a focal point, the waterfront is brimming with activity. Seaside cafes, kiosks, bars and restaurants give way to bike paths, large shady grassed areas and a calm tranquil white sandy beach. Take a walk or train ride to the end of the Busselton Jetty which is one of the main Busselton attractions, to the Underwater Observatory where you can see amazing marine life. Castle Rock near Dunsborough is a massive chunk of orange granite standing tall at the end of beautiful Castle Bay. It is probably the most spectacular feature of the scenic Meelup coastline on the calm Geographe Bay side of Cape Naturaliste. Castle Rock is one of my favourite places to visit when I’m staying in Dunsborough or Yallingup. It’s such a wild and peaceful place to sit and relax, high up in the sky with beautiful views extending for miles along the coast of Geographe Bay. Usually you’ll have the place to yourself. You can’t drive your car right up to it, so it’s not as much of a tourist attraction as other “Big Rocks” in the area. Beautiful place to have a picnic on the beach and it is the home to the famous Gourmet Escape BBQ. Also fondly known as ‘the place of love,’ Yallingup is one of the most spectacular places in the Margaret River region. The glittering ocean is surrounded Leeuwin-Naturaliste National Park which offers incredible views over the Indian Ocean. It is a favourite place to watch the sunset and to take a stroll through the ghost path to the beautiful Art Deco Hotel Caves House. Famous for Live Music Sessions, Caves House Hotel, Yallingup provides and ideal venue for locals and visitors to mingle in our beer garden and enjoy live music. Cowaramup Bay is a tranquil beach nestled within the historic coastal community of Gracetown. The bay is calm and sheltered, making it a popular swimming hole for families with young children. Cowaramup Bay is also a great place to go snorkeling! 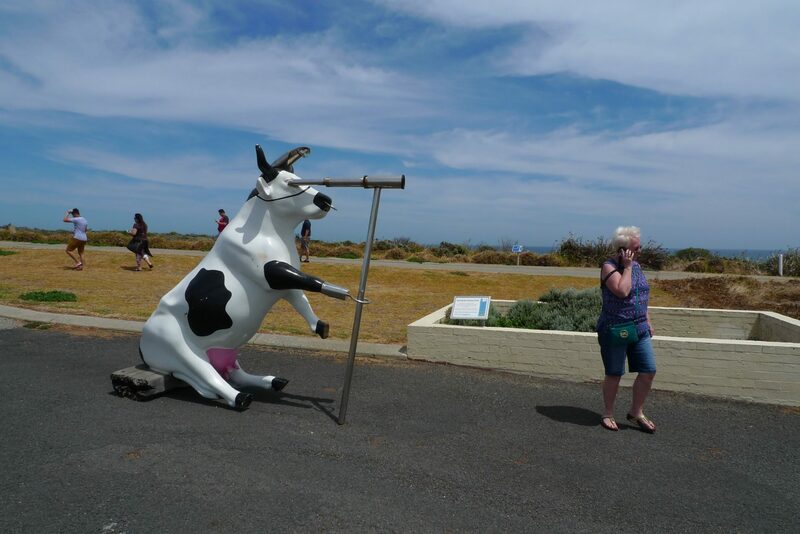 The town which is a few kilometres inland has the lot of fun attractions including cow statues along the main street giving it the name "Cow Town"
Home of the famous wineries of Leeuwin, Voyager and Cape Mentelle. Margaret River town has an eclectic range of shops and the famous Settlers Tavern, the home of the best wine list in WA and the stage for great musical events several nights per week all year round. Close to the town of Margaret River itself is the famous Prevelly Beach. The pro surfing event is held here every April at Surfers Point. Prevelly provides stunning coastal views as you drive into Prevelly town and around to the Margaret River Mouth. 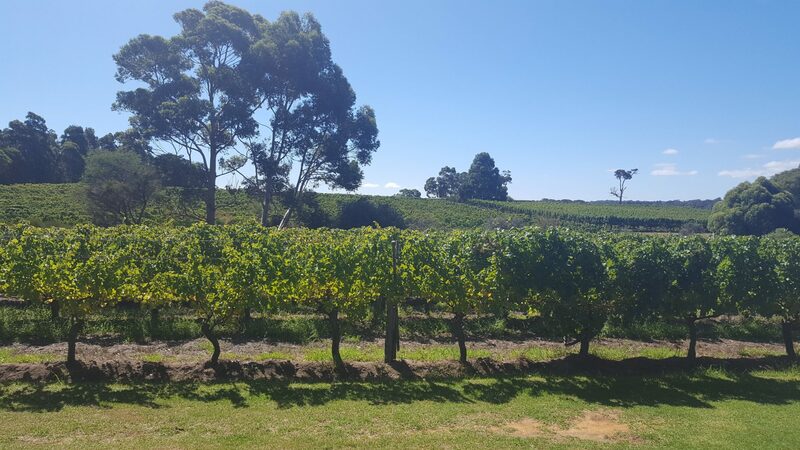 Stay in touch with us for all the inside information on what is happening in the Margaret River Region and join our community !